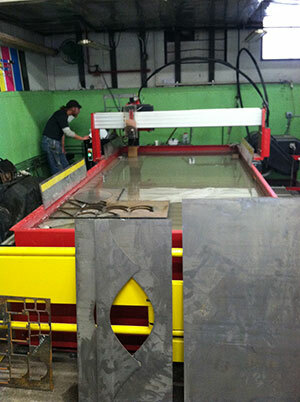 Alloy Welding offers Water Jet Cutting services in the central Connecticut region. Alloy Welding offers Water Jet Cutting services for businesses, municipalities, and individuals in the central Connecticut region. 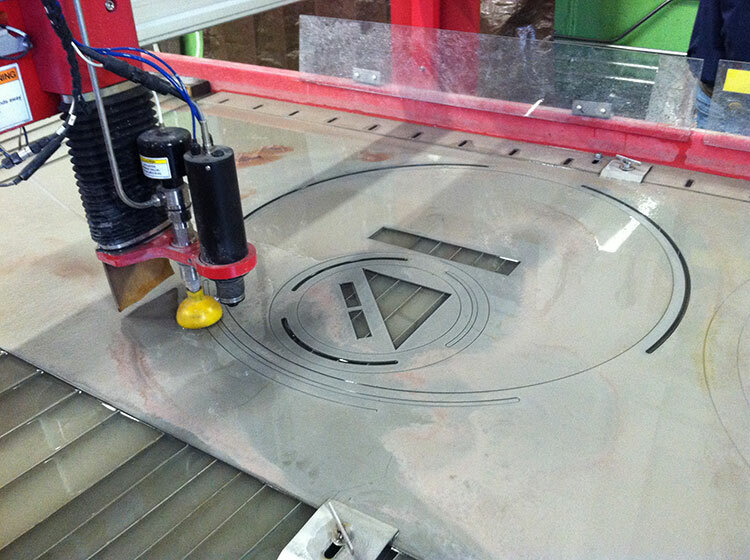 We can produce parts in three hours with the Water Jet Machine that took 3 days the old way. It gives customers the two things they need most: Precision and Fast Delivery. Our Maxiem 1530 Water Jet machine cuts in a 60 x 120 envelope with a repeatability rating of 0.002” and a weight rating of 6” steel. It can cut through almost any material, including plastic, rubber, aluminum, and even solid stone.